Find out how dental bonding could fix those minor dental flaws. When it comes to cosmetic dentistry you may really want to get the results of a smile makeover without worrying about the invasiveness of some procedures. If you are looking for a simple way to cover minimal dental imperfections then you may want to talk to our Waunakee dentists Drs. Matthew and Stanley Karls about whether dental bonding is right for you. Dental bonding is a non-invasive cosmetic procedure that uses tooth-colored resin to cover over certain areas of a tooth to improve the shape or color, or to hide certain flaws. The resin is putty-like when first applied and then hardened with a dental laser. What is it like to get dental bonding in Waunakee? One of the first things on most patients’ minds is their concern over needles or needing anesthesia to get through a procedure comfortably. But you’ll be happy to know that there is no preparation or needles needed to get dental bonding (unless a cavity is being filled). First, a shade guide will be used to match the dental bonding resin to the color of your tooth. Once we have determined the ideal color we will then apply a liquid that will roughen the surface of the tooth follow by a conditioning liquid. 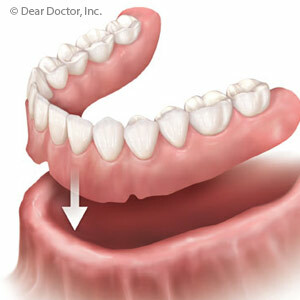 These liquids will help the resin adhere to the tooth easier but applying them is painless. Then the resin is applied and molded to the tooth before being smooth out. Once the desired look has been achieved we will harden the resin with a UV light. Dental bonding can take anywhere from 30 minutes to 60 minutes to complete. Want to know if dental bonding could repair your smile? Then it’s time you called the Waunakee, WI dental experts at Karls Family Dentistry.